Stainless Steel interlocking Medical id alert bracelet is great for everyone. Composed of 316L stainless steel which is non corrosive and strong. 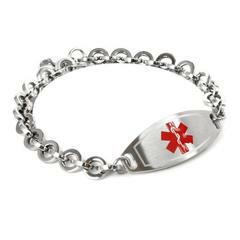 we offer this medical bracelet with different color medical emblems also.